The Surface series from Microsoft has created an array of revolution in the business sector by introducing many hybrid devices. Since then major payers in the computer world are following their path by introducing hybrid versions for computing. Their methods proved working when Surface Pro series lacked various features that business class people wanted. Let us go through the specs of Dell Latitude 12 7000 tab and find out those features which make it superior to Surface series of Microsoft. As the name suggests Latitude 12 is a 12 inched device from Dell.Its thickness comes to be just 0.32 inches and its weight comes to be 1.61 pounds. Just like the Surface tabs, you can attach a fully functional keyboard and convert the same to a laptop. 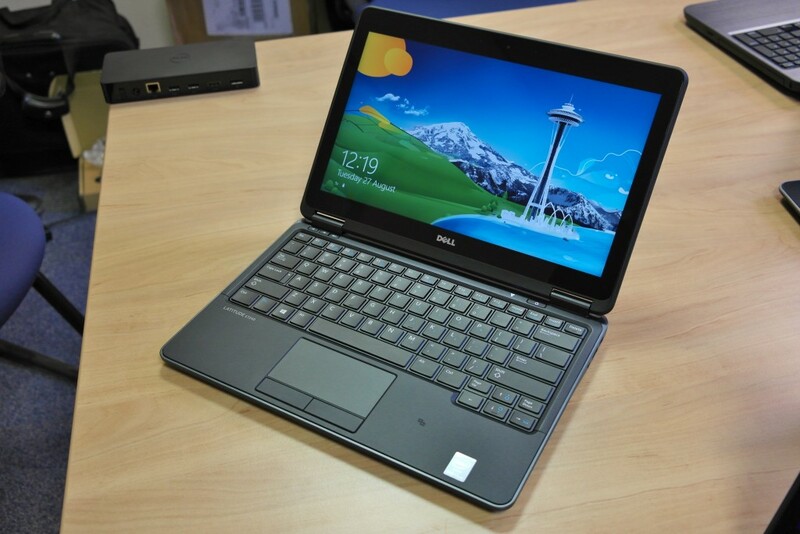 But the difference comes when Dell provides for various kinds of keyboards that can be attached to the device. The display comes with a choice of two. One is loaded with full HD touchscreen and another is loaded with ultra HD touchscreen with a screen resolution counting to 3840*2160 pixels. Latitude 12 7000 series are powered by Intel processors of versions m3, m5 and m7 CPUs, which is loaded with vPro for the last two. These devices are intended for business class people. So inorder to have better functionality, these devices are loaded with Intel Trusted Platform Modules. The devices are loaded with a RAM of 8GB, making it a powerful device. The storage is provided by NVMe SSD storage that comes to be 512GB. Nowadays most inevitable part of any smart devices is its camera. The front cam comes to be 5MP and the rear cam features 8MP lens. The device also features two USB ports with Type-C feature that supports Thunderbolt 3. This port is loaded with both data and video output option. Apart from this Latitude 12 7000 is loaded with SD card reader, USB Type A to Type C connectivity port and a microSIM slot to load WWAN. Another feature is the Active Pen that is loaded with 2048 levels of pressure which offers ease in its functionality especially for business class people. Latitude 12 7000 is loaded with twin options of keyboard.One provides folding type option that flicks around the display protecting them. Another one offers a firm stand especially when the system is not in use. These keyboards add nearly 0.65 inch thickness to the device, which is more when compared to 0.44 inches in case of Surface Pro 4. The rigid keyboard provides for extra durability for Latitude 12 7000 series tab along with keeping the device steady while you are typing. But most of the people prefer to use foldable keyboard instead of rigid ones for the ease in carrying. Dell Latitude 12 7000 series are tagged with a price of $1049. The keyboards that come in twin features may cost you some extra bucks. Company officials made it clear that the device will be out for sale by January 26.